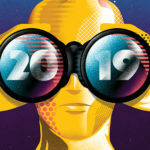 Cyber security, Brexit, geopolitics and financial market fluctuations are among the chief concerns for businesses voiced by some of the UK’s leading risk experts as they look ahead to 2019. Senior members of the Institute of Risk Management (IRM) have identified key risk areas for businesses. A broad range of financial, political and healthcare risks are highlighted. Many of them align with the risks identified in The Global Risks Report 2019 to be issued by the World Economic Forum. Further areas of risk concern identified by IRM risk experts are the as-yet-unknown effects of Brexit in the UK and the impact of technology-enabled disruptive business models. Larsen feels it will be a giant year ahead for the major tech companies which many have considered as being in a bubble with the major players being overpriced. Apple, Amazon, Microsoft, Intel, IBM, Facebook and Alphabet (Google) may be beginning to show signs that they’ve ‘hit a ceiling’ with various scandals, new regulations, stagnant product lines and trade tariffs impacting their share prices significantly over the past quarter. 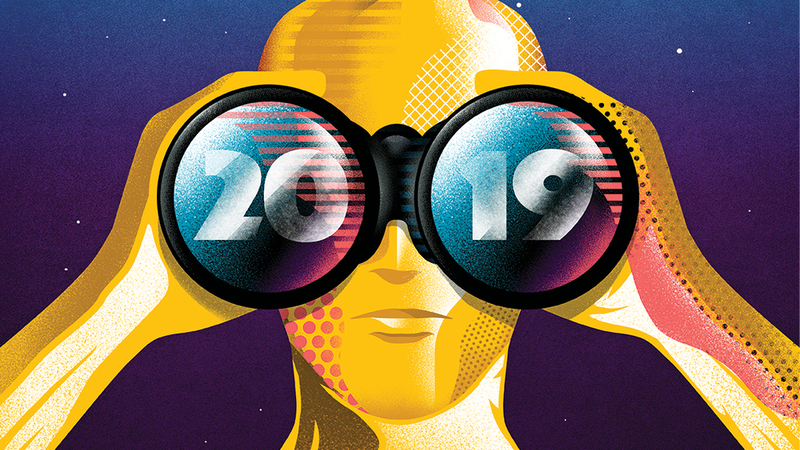 According to Larsen, 2019 will be the year in which tech companies will either fall short or thrive. Innovation, going hand-in-hand with risk management, will be key to continue the tech dominance in the stock market and continued increases in share prices. Last year, Larsen predicted that the ‘Crypto bubble’ would come crashing down. Only a few days later, prices started falling. A few months later and prices were down 50-60%. Now, looking back 12 months, the prices have fallen up to 98% in some cases. While the bubble may have burst, 2019 will (according to Larsen) witness significant progress in blockchain technology as well as cryptocurrency. There’s remarkable similarity between the advice given in legislative guidelines to combat bribery and in those designed to stamp out data breaches, unfair competition and modern slavery, with organisations being required to complete certain actions to address the risks involved. Prince Charles has been quoted as linking global warming with the increase in the devastating effects of recent hurricanes in the Caribbean. However, a significant extent of the property that has been damaged was in any event of lightweight construction not designed or built to withstand hurricane force winds. May feels it’s likely that this reluctance to require property to be built to standards adequate to withstand winds and floods will continue in 2019. Although the start of a ‘joined-up’ and well-funded global insurance and risk community research project into causes and remedies of global warming would be great to see, May predicts that it will not happen. In addition, insurers are increasingly facing new and emerging competition in the form of new market entrants and start-ups, including ‘FinTech’ and ‘InsureTech’. Insurers have historically been slow to invest in their digital propositions and, indeed, the infrastructure necessary to support them. An important part of any risk management plan should incorporate crisis management planning, including the responses that an organisation pushes out to its public and stakeholders should something go wrong. Detailed plans should include robust responses for scenarios ranging from loss-of-life (such as airlines) to loss of data/personal records. The key risks will vary depending on the nature of the business. Sometimes, it’s as much to do with what’s said post-event as the actual event itself that can help manage reputation. According to Marketing Week, consumers’ trust in brands is failing. Everyone thinks they’re a marketer and are more willing to put pressure on organisations online or via the press. Brands should have a Corporate Social Responsibility (CSR) agenda embedded. Consumers are much more easily able to switch their brand allegiance and vote with their feet.